Founded in 2009 in Denver, CO LED Supply Co. is a wholesale distributor of LED lighting products with a focus on energy efficiency. The President of the company, Brian Stern, recognized the industry trend of energy efficient lighting was being fueled by not only economic incentives, but by government mandates as well. In an effort to take advantage of this trend, we decided to develop a company that specializes in energy efficient lighting technologies such as LED Lighting. There is little dispute that LED lighting is the most efficient form of lighting on the market today. As one of the country's leading LED Lighting Distributors, we pride ourselves on product knowledge and our ability to stay up to date with the most advanced LED fixtures available in the industry. As a distributor, we are not married to any one manufacturer, giving us the ability to recommend the most appropriate, cost effective fixtures for each individual project. At LED Supply Co., we pride ourselves not only on product knowledge but on our level of customer service as well. Many larger distributors lack the product knowledge and experience with LED fixtures required to make appropriate recommendations, even fewer will go to the lengths that we go to in order to ensure our customer satisfaction. 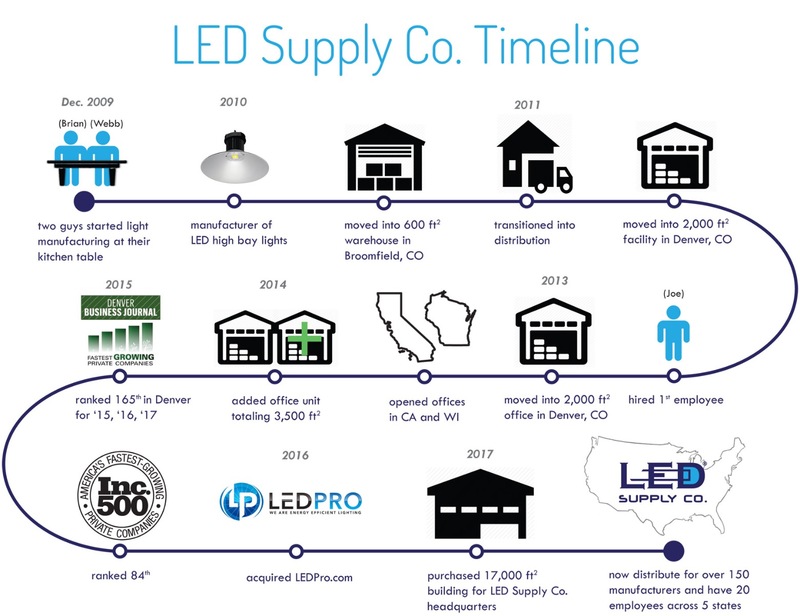 From beginning to end, LED Supply Co. is a full-service Colorado LED lighting distributor. Our services include: LED Fixture Recommendation, Bid Development, LED Lighting Layout & Design, CAD, ROI Calculations and LED Rebate Application Assistance. Rebate Application Assistance is one service in particular that allows us to stand out. With nearly every project we have completed, our clients have qualified for some form of rebates from energy companies as well as City & State governments. We make it a priority when recommending lighting fixtures to take full advantage of these rebate opportunities in order to make sure we are maximizing the total amount of rebate money available to our clients. As a courtesy, LED Supply Co. will take care of all paperwork related to rebates. In many cases the rebates can cover up to 40% of project costs. We have found that taking on the burden of identifying all the rebate opportunities for our clients and filling out the necessary paperwork in order to qualify them for these rebates is one of the biggest benefits our company offers and our clients truly appreciate. Contact us about rebates for Colorado LED lights. Brian Stern received his Bachelors in Science and Business Administration from the University of Denver, Daniels College of Business, in 2007. After college he was hired by Boldtech Systems, an IT Consulting Firm based in Denver, Colorado. At Boldtech Systems, he focused primarily on design and implementation of financial and accounting systems. Boldtech Systems was purchased by Perficient Inc. in 2008, and Brian quickly transitioned into the new company. Brian was promoted shortly after to his position, Senior Business Consultant, at 23 years old he was the youngest Senior Business Consultant in the entire firm of 1,400 people. Brian continued to prove himself as a consultant, and in 2009 was recruited out of the consulting firm to work for an Eric Schmidt (Ex-CEO Of Google) financed IT startup named Intern Inc. As Senior Project Manager, Brian managed the IT development team and creative teams. But due to upper-level management issues, the company stagnated, and Brian was unsure of the company’s future. He started LED Supply Co. LLC at the end of 2009 as a side project, and once it starting gaining some traction, he left Intern Inc., to focus on LED Supply Co. LLC full-time. Webb Lawrence came onboard shortly after, and they started rapidly growing the company. As of 2016, LED Supply Co. LLC is in its seventh year of operation, and growing quickly. In 2014 LED Supply Co got ranked 165th on Inc. Magazines’ Inc. 500 list of the nation’s fastest growing privately held companies. In 2015, they jumped to 84th on the Inc. 500 list. Webb graduated from the University of Denver in 2007 with a bachelor’s degree in Marketing and a minor in Business Management. Fresh out of college, Webb started his career in the radio industry selling airtime for Denver Radio Company. It was in this position he was able to develop his skills as a salesperson as he learned quickly in the ‘sink-or-swim’ environment that is media sales. Webb was able to hone his skills eventually becoming the top revenue generator for the company through the development of local direct sales. 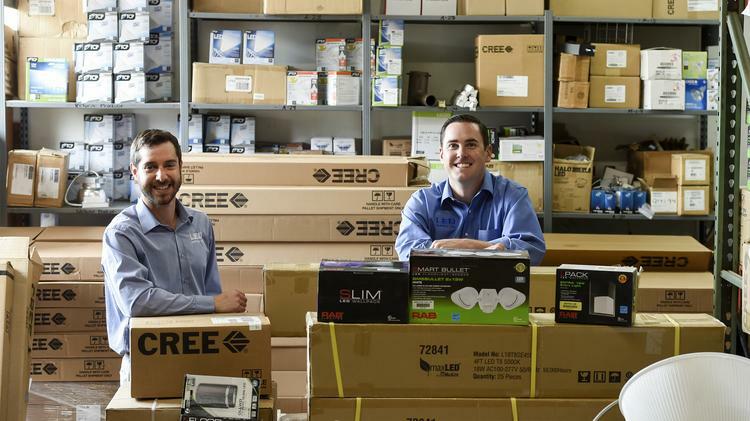 After three years in the radio business Webb decided to embrace his entrepreneurial roots and joined Brian Stern to launch LED Supply Co. in 2009.